I noticed on our GFI RM Monitoring that we had a number of Security Logon Failures on one of our Windows 2003 Domain Controllers. 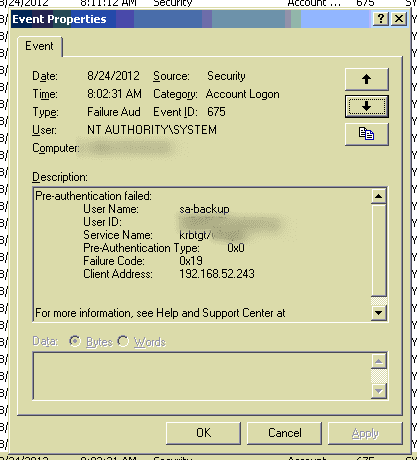 This is caused by Windows Vista and Windows 7 Computers sending their Kerberos authentication in AES 128/256 encryption and Windows 2003 Server does not support this method on encryption so it sends a message back to the computer to ask for the encryptio nmethod it does support. 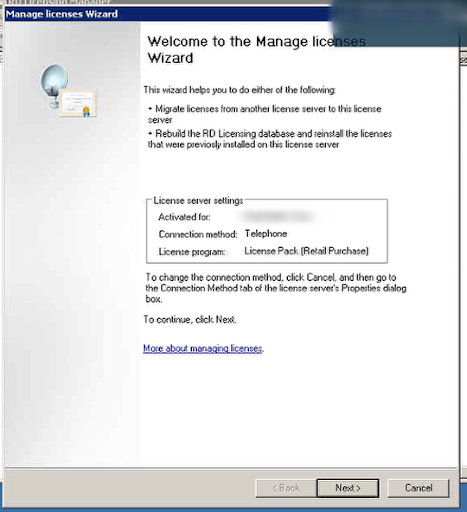 The highest Windows 2003 can support is RC4-HMAC and so this event ID 675 is logged to show this process. You can get rid of this by adding a registry key to each Windows Vista and Windows 7 computer but I would recommend looking to upgrade to Windows 2008 R2 Domain Controllers as a good long term solution. When trying to deploy Managed Anti Virus to a computer that had Symantec Anti Virus installed you may find that the application will not install because a component of Symantec is still left in the registry although tthe application is uninstalled. The keys that need to be removed are the SharedDefs key in the registry in the HKLM\SOFTWARE\SYMANTEC location. Once this is complete you can then rerun the 24/7 checks and you will see that the Managed Anti Virus application will now install. 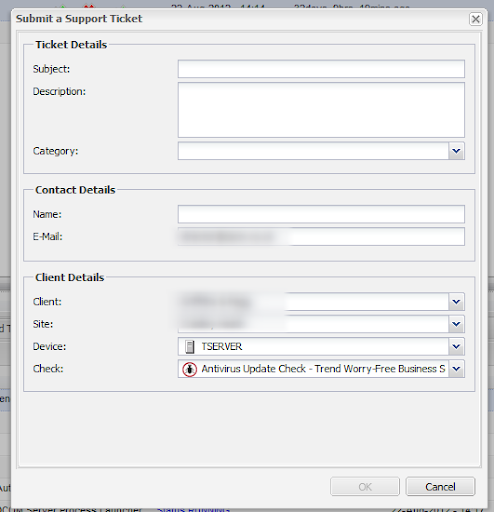 If you are running Sharepoint 2010 and you find you cannot delete a site or a workspace, then this could the problem you have. The Site needs to upgrade the content database and this has not been completed yet so the site is not allowed to be completed. When you try to delete a site this is the error displayed. The Sharepoint Content Database will not have been upgraded since SP1 was installed and so you cannot rmeove any sites until this is complete. By using the Get-SPContentDatabase cmdlet and then passing this to the Upgrade-SPContentDatabase cmdlet we can pipe the upgrade for every database. I have used the -WhatIf to show what would happen if I ran the cmdlet to make sure I know that the results will be. When you choose to upgrade the database you will see the progress and then when you choose to delete a site you will be able to do so. 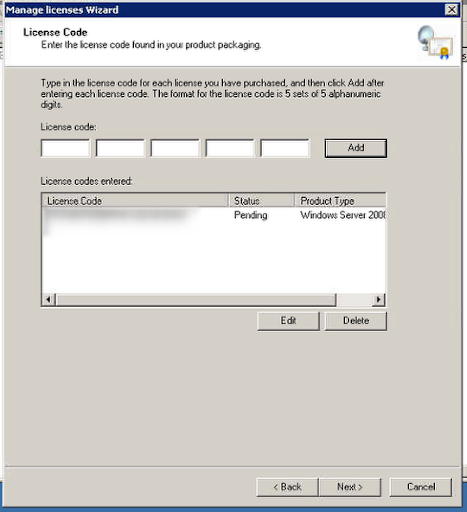 You can migrate Remote Desktop Licences in Windows 2008 R2 Server, so you no longer have to call the Microsoft Clearing House to move your CALS. 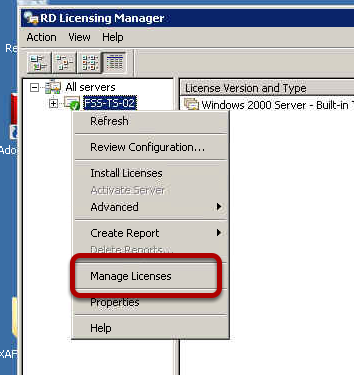 Logon to your new Licencing Server and run RD Licensing Manager and right click the licencing server, choose Manage Licences. 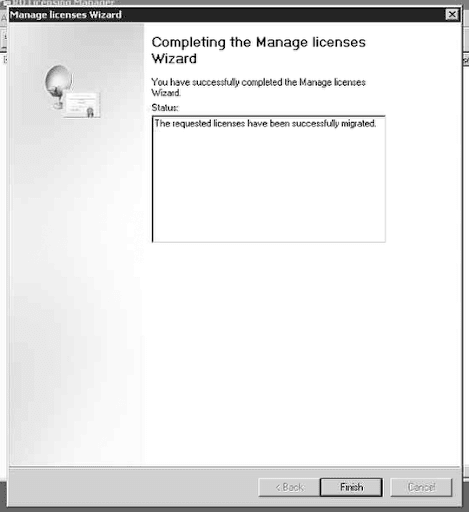 The Manage Licences Wizard will start. 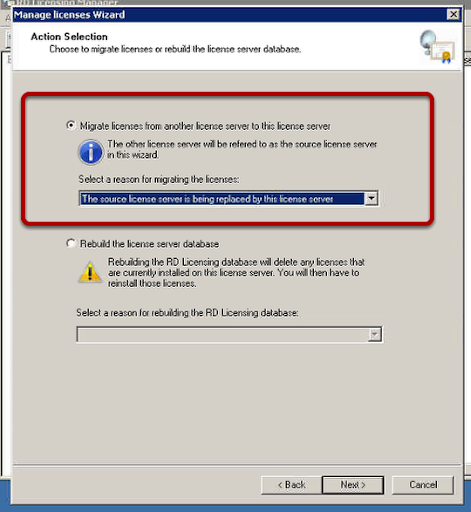 Choose the option to migrate licences and the reason for the migration. 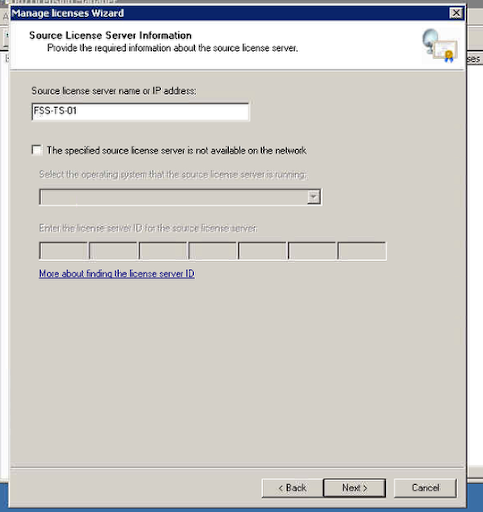 Specifiy the name or IP of the Source Licence Server. The existing licence type should not be displayed, in my case I had a pack of 5 Retail Licences. 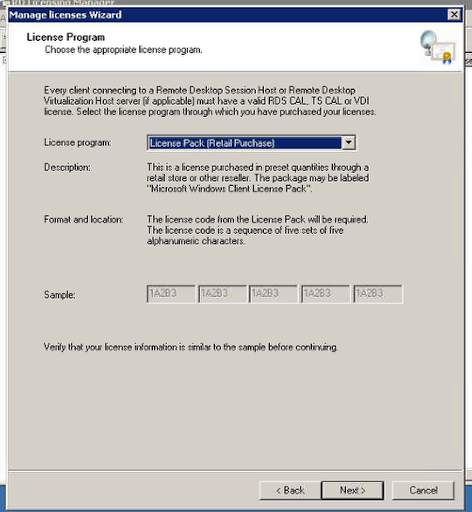 This screen willl depend on your licence type, in this case I had to re enter the Retail Licence Product Key. The wizard has completed the migration and there was no need to call up and have a chat with an automated machine. 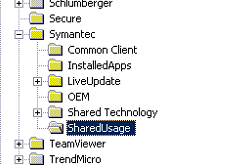 Xenapp - Server is too busy to accept connections gotcha! I built a new XenApp 6.0 Fundamentals Server for a customer and had everything setup as I wanted but I could not establish a connection to the server, each time it failed and in the event log was the error that the Citrix Server was too busy to accept connections. I used the qfarm /load command and I could see a load of 20000, this will result in connections being refused. I spent a while Googling on this and couldn't get to the root of it until I found this Citrix KB Article and realised I had not enabled Remote Desktop Connections to the server. Doh!